Team Timeless will ride for one last adventure later this year. Timeless ran out of luck (again!) at the conclusion of its second season with news that it had been re-canceled. Ever since, the show’s hugely dedicated fanbase has rallied in an attempt to save the show once more—and they’re being rewarded, albeit not with a third season. While we wish we could’ve made another dozen seasons of Timeless, this is the next best thing. We’re thrilled to take the Lifeboat out for one last spin and bring closure to our story. The studio, network, cast and crew are all doing this for one reason only: the fans. Because they deserve it. Because the fans made this happen and we thank them for their passion, support and helicopters. So? You guys want to get Rufus back or what? 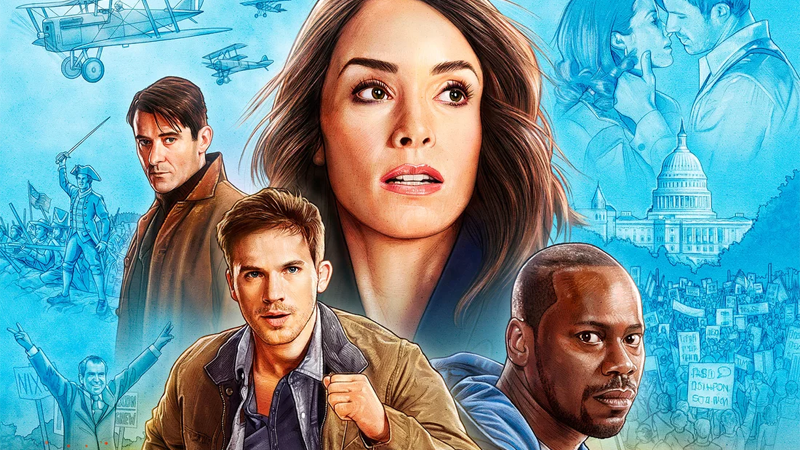 While this isn’t the new season fans have been fighting for ever since the news of the cancellation, at least Timeless is getting a chance to conclude on its own terms, instead of being left on a cliffhanger as viewers wonder what might have been (looking at you, Syfy). The Timeless finale is set to air on NBC this holiday season.